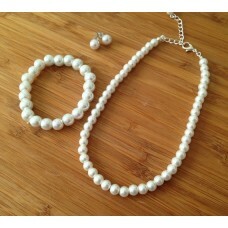 Bridesmaid Gift Pearl Bracelet, Studs and Strand Necklace and (with optional extra bird pendant and/.. 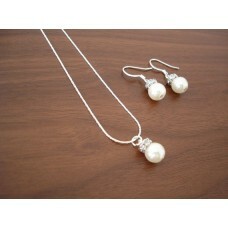 This floating pearl necklace and earrings gift set is perfect as a bridesmaid gift under $20.Ea.. 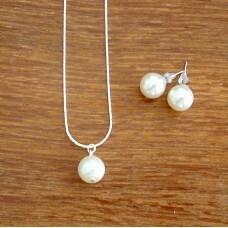 This lovely floating pearl necklace and stud earrings gift set is great for under $20 as y.. 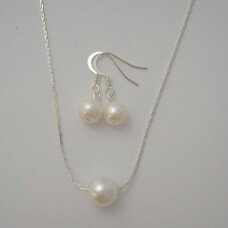 This bridesmaid gift listing is for a Popular Single Pearl Bridesmaid Jewelry Gift Set, each set con.. 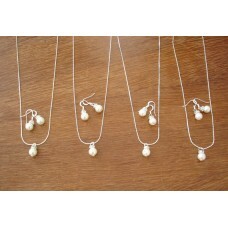 This bridesmaid gift listing is for a Simple & Elegant Single Pearl Bridesmaid Jewelry Gift Set,.. 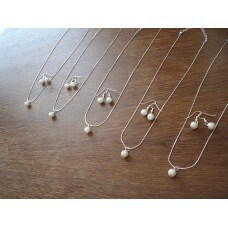 This bridesmaid gift listing is for a Pearl Drop Necklace and Pearl Stud Bridesmaid Jewelr.. 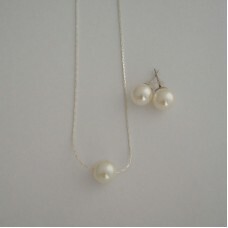 This lovely bridesmaid jewelry gift set is made up of a single glass pearl pendant necklace and a pa..
Stay updated with the latest updates and receive 15% off your first purchase. © Copyright 2013-2017 RBJohnson Designs. All Rights Reserved. ABN: 91 925 537 359.